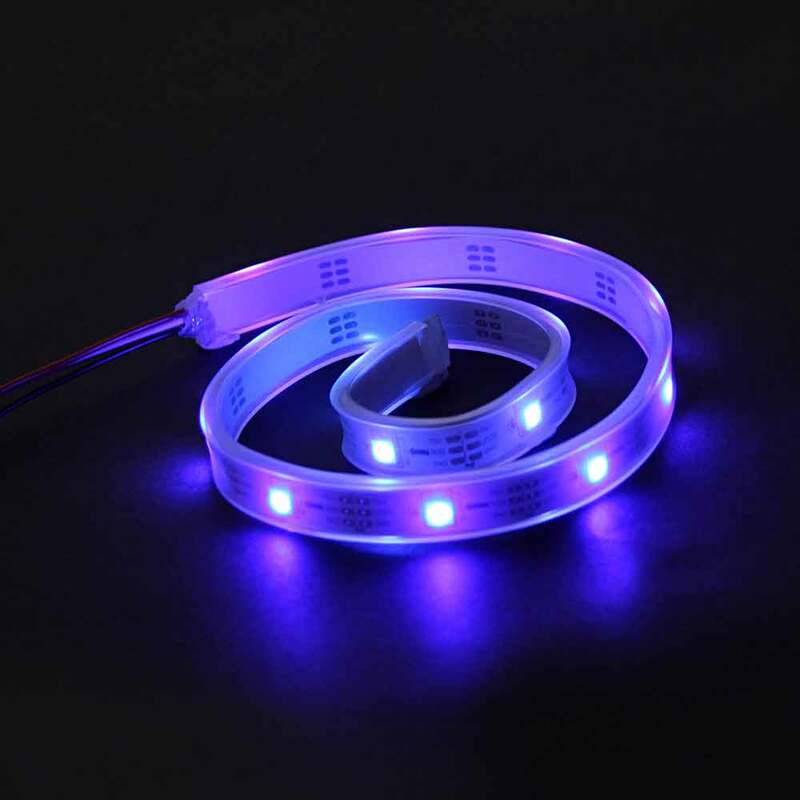 The LED RGB Strip (Addressable, Sealed) comprises a number of addressable LED RGB lamps. The LED RGB strip with the length of 1 m includes 30 RGB LEDs totally. In addition to the characteristics of high brightness and full color, you can also control the color and brightness of each RGB individually by programming. The LED RGB Strip (Addressable, Sealed) can be connected to Makeblock Orion through the RJ25 Adapter module.